A young Swedish start-up that defies the laws of gravity! The lively Flyte agency has become a master in magnetic levitation: a technological innovation that enables objects to levitate in a magical and poetic manner. Lamp and flowerpot float in the air and turn our interiors into experimental science laboratories or artistic installations. The brand's futuristic objects are also eco-friendly and made in Sweden from certified sustainable wood. 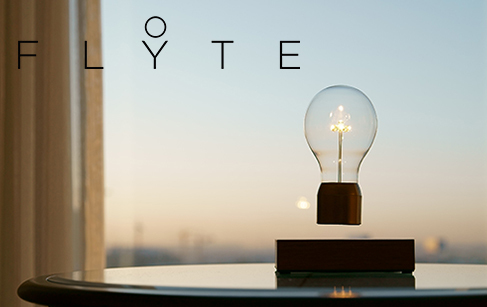 Innovation, design, poetry, technology and sustainable development, Flyte's creations distil everything we love!